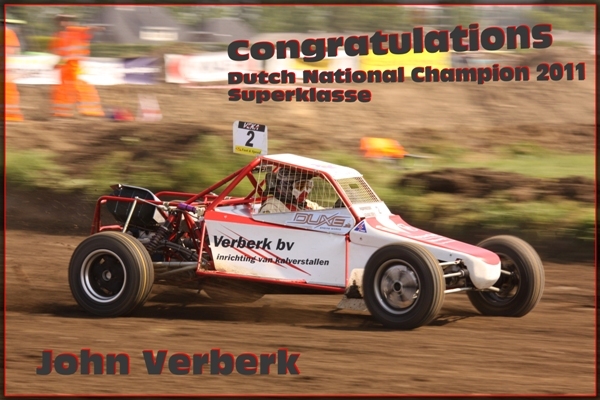 John Verberk will be crowned at his home race. John, who is curently driving the 2011 F&S chassis with a 2.5 liter Engine, is a F&S driver for many years. In 1998 he was already 2nd in the Sprint 1600 class. In 2003 he was the champion in the superklasse. before him who could win the triple, Frits Duizendstra, also F&S Driver for many Years. We wish him good luck at his home race.